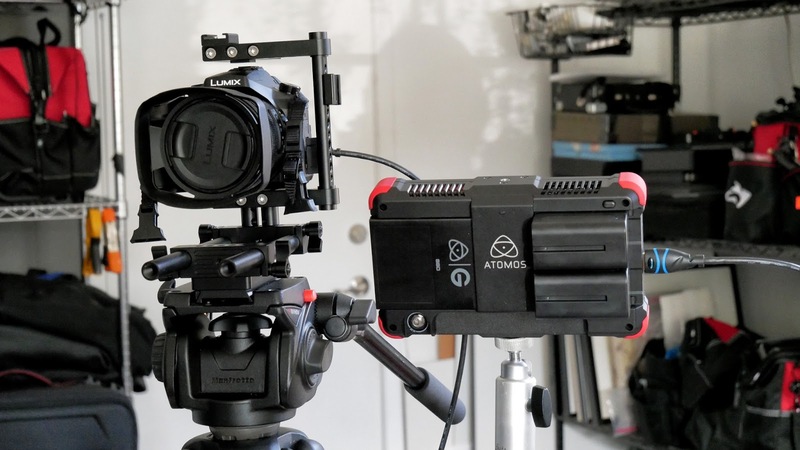 Panasonic fz2500 and the Atomos Ninja Flame. An update. As I wrote here: https://visualsciencelab.blogspot.com/2017/06/the-story-i-glossed-over-about-real.html I was a bit miffed at myself for not diving deep enough into the Panasonic fz2500 manual (page 180; thank you dear reader...) to know that, in addition to providing a clean 10 bit, 4:2:2 HD file over HDMI, the camera was also capable of providing the same configuration but in 4K (UHD). For a product that costs around $1200 this is an amazing feature. The closest competitor in the Sony realm is a dedicated video camera called the PXW-Z150 which sells for about $3200 (USD). Once I'd been made aware of this capability I started researching to find out which external video recorder might be the best one for my needs. I settled on the Atomos Ninja Flame which provides the ability to accept the 4K files from my fz2500, but also from every single one of the Sony cameras I routinely use in my work.